Plastic green packaging that is eco-friendly and low-carbon is enjoying rapid demand growth in the recent years amidst rising food safety concerns and environmental issues. 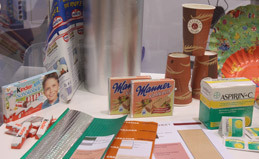 Thus, what are setting trends in packaging are the Intelligent, multi-functional, lightweight and eco-friendly types. Plastics are widely applied in packaging, occupying over 30% of market share in the packaging industry. Plastics are also an indispensable material for various applications, such as food and beverages, daily commodities, medical and pharmacy as well as industrial and agricultural manufacturing. China, the world’s largest producer and consumer of agricultural products, incurs 30% wastage of these products during storage, transportation and retailing, partly due to poor packaging. Hence, certain new packaging technologies such as, active packaging, films of high gas barrier, heat resistant, cold tolerant, heat shrinkable, oven-proof , and having antimicrobial properties – all of which can improve food safety and extend shelf-life, are becoming highly in-demand in the Chinese market. For the beverage market, PET bottles dominate the carbonated drinks sector by 57.4%. As China’s tea market is booming, heat resistant PET bottles are among the fastest growing one with annual growth rate of over 50% among polyester type bottles. It is estimated that the need for shrinkable film will reach a 20% growth rate in the next five years, particularly in the application of PET shrinkable film on PET beer bottles. With the increased disposable income, consumers are willing to spend more on high-end household chemical products, and for novel and aesthetic packaging. New sealing methods, for example, plastic zippers and screw cap pouch that allow users to open the packet without needing to tear off the bag, also improve consumers’ experience. The rise of China’s medicine industry spurs demand for medical packaging, specifically those eco-friendly and easy-to-use containers such as pre-filled syringes, packaging of portable pill dispensers, PVC substitutes, temperature-memory packaging, as well as special packaging for children, elders and persons with disabilities. The above are some of the key highlights at the upcoming Chinaplas 2015 show to be held 20-23 May at the China Import & Export Fair Complex in Pazhou, Guangzhou. Currently the world’s no. 2 and Asia’s no. 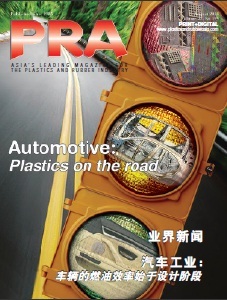 1 plastics and rubber show, Chinaplas is expected to draw in 3,100 companies from over 39 countries and regions that will showcase solutions covering all aspects of plastics and rubber processing, in particular packaging technologies. This upcoming edition’s gross exhibition area will exceed 230,000 sqm; Some 13 countries and regions that will participate as pavilions include Austria, Canada, France, Germany, Hong Kong, Italy, Japan, Korea, Switzerland, the UK, US, PR China,and Taiwan; 3,200 sets of machinery will also line up at the fairground. 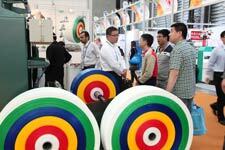 An estimated 120,000 professional buyers from 130 countries and regions and over 100 buyer groups are anticipated to visit the show. The exhibition in 2014 has attracted a number of leading packaging companies and its end-users, such as Bemis, Southern Packaging, Alcan, Sealed Air, Beauty Star, San Ying Packaging, Zijiang Enterprise, Oji Packaging, COFCO, Chanxing Packaging, Tingzeng Printing & Packing, Yili, Nongfu Spring, FSPG, REX, China National Food Industry Group, Shuanghui, APTAR,Kunlene Film, Chuo Kagaku, Rexam Plastics, and many more. According to Chinaplas organiser, Adsale Exhibition Services Limited, a number of stands have been filled up by globally renowned firms such as Haitian, Engel, Chen Hsong, Milacron, Borch, Designer, Nanjing Ky, Jinhai, Hasco, Mould-Tip, Synventive, Kingfa, Mitsubishi Chemical, and Ems-Chemie. Totani’s Three-Side-Seal pouch making machine, featuring 3-servo system, which has separate control of film feed and vertical heat-sealer drives. Using the "Sealing Time setting function" and "Sealing Waiting Time function", allows for a quicker setup at low speed and a ramp to high speed, without changing acceleration, to give high-speed bag making at up to 240 CPM. 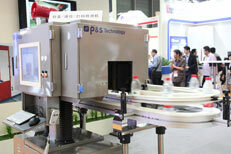 Capabilities of up to 4-lane pouch making for Three-Side-Seal pouches can produce up to 960 pouches/minute. The machine has three different lengths to suite different factory space requirements. Brückner’s production lines for high barrier BOPP films can achieve the outputs above 6,000 kg/hour, production speeds up to 525 m/min: BOPET lines for the various optical applications up to 400 microns; LISIM simultaneous technology provides the contact free stretching in both directions at the same time for BOPP, BOPET, as well as BOPA films, serving critical markets and applications such as laminations for aroma and flavour retention, tobacco and box over wrap or high speed HFFS packaging. For more details, please visit the official show website at www.ChinaplasOnline.com.